Well, back to the weekly business.. 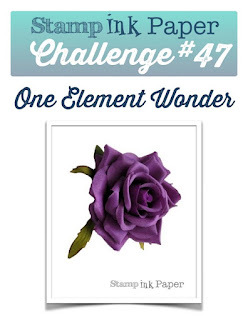 I'm back over at Stamp, Ink, Paper today with my card for a One Element Wonder Challenge. I sure wish I could have taken a better picture because this is much more beautiful that the picture suggests. I did a watercolor wash of Sahara Sand, and Tempting Turquoise onto a 4" x 5 1/4" piece of Watercolor Paper. I used my heat tool to dry it and then stamped the Seabird image in Stampin' Up! Black Archival Ink. I used the same ink to stamp my greeting on the bottom right of the front panel. But here's where it gets super beautiful and I just counldn't get a picture that shows it.. ugh.. I sprayed that panel with some Glitter Dust Spray and it is Ah-mazing!! Once that dried, I mounted the front panel onto a piece of 4 1/8 x 5 3/8" piece of Basic Black cardstock with Fast Fuse. Next I mounted that onto an 11" x 4 1/4" piece of Tempting Turquoise cardstock that was scored at 5 1/2". I hope you'll head over and check out our challenge and link up a One Element Wonder card of your own! I LOVE, LOVE, LOVE this card!!! 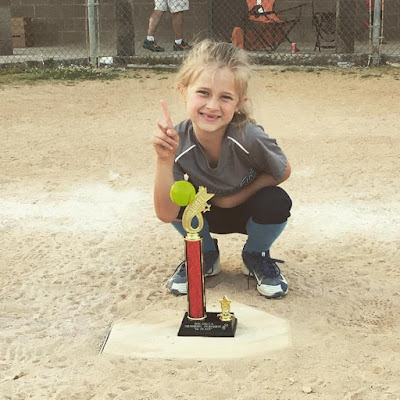 You ROCKED this, GF!! I can seen a CASE in my near-future, esp. since I just got this set for SAB; TFS!! Oh, and keep up the great work!! 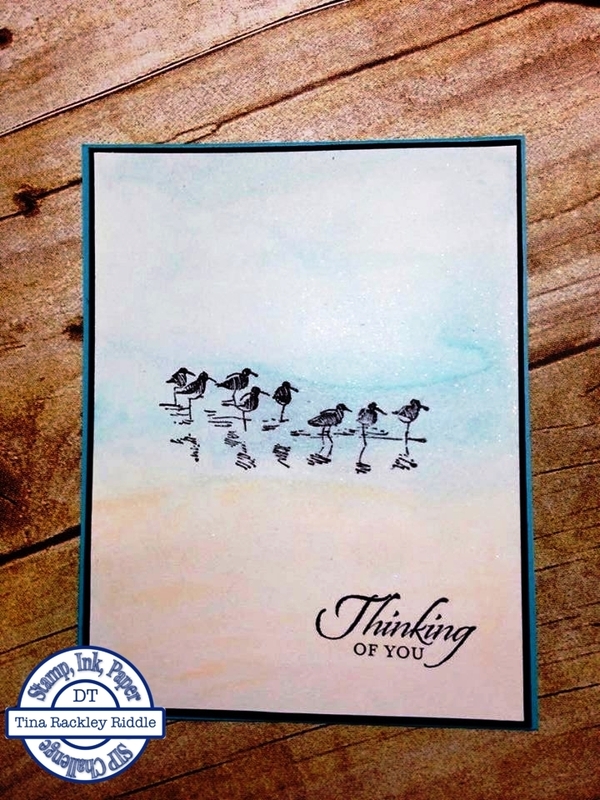 Beautiful CAS card Tina, I know what you mean, they don't come easy for me either. The watercolor background is really dreamy, very nice job. That meal sounds amazing, I can see why you needed a 2 hour nap. I think I'd only visit them after spending the rest of the week eating salads, lol! Oh and yes, your granddaughter is adorable and I'm glad to see she's playing softball! I hope she sticks with it. SIP Challenge #50 - Sketch! SIP #49 Challenge - Flowers! SIP Challenge #48 - Color Challenge! ICS Blog Hop - Girl's Night Out!